Today, the Domaine Zind Humbrecht cultivates 2.42ha in the Grand Cru Brand, from vines planted between pre 1939 and 2001. Every year, the vines planted between 1980 and 2001 are declassified into our Turckheim label, and, blended with a small vineyard (about 20% of the volume) located just below the Brand vineyard on a marl/silty soil. Sometimes, we hesitate with one small vineyard planted in 1978, and depending on the quality, it is either declassified into Turckheim or into Brand. In 2006, this vineyard performed extremely well. Granitic soils are very well drained, so better prepared in case of rains before harvest. The very old vines produced an SGN and the 1978 vineyard a VT! All the younger vines went into the Turckheim, but still kept the 2006 trademark: great acidity and high ripeness. For a long time, this wine was very sweet and wouldn’t continue to ferment, until, certainly the right yeast decided to wake up a year later, the fermentation started again and the wine went bone dry. 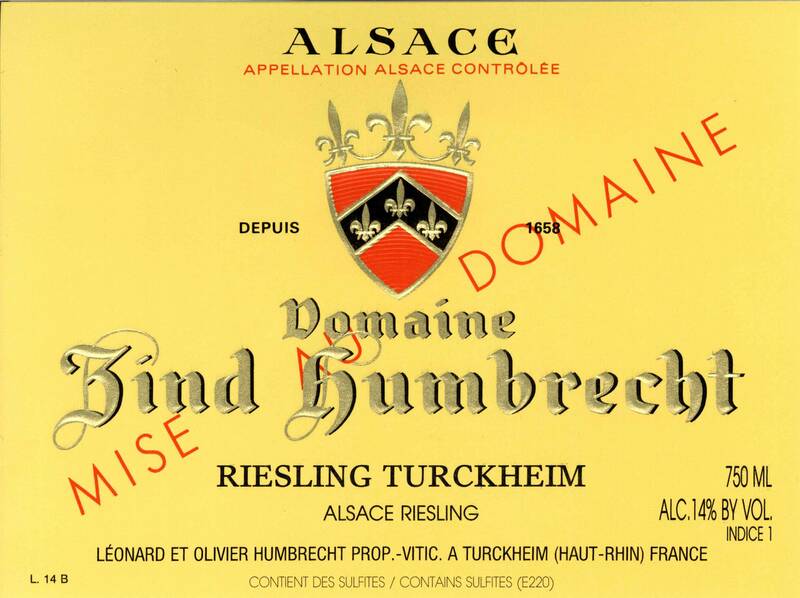 1/2008: usually the Riesling Turckheim is very aromatic and fruity at an early stage. The 2006 ferment a very long time, over 15 months, and therefore spent also a long time on total lees, which made this wine extremely mineral, almost reductive, but also nourished its structure. Today, prior bottling, it is a dense, rich dry wine with good acidity. More mineral than fruity, but does open up with aeration. I expect a spectacular development during the next 12 months. This will be a fabulous wine to pair with classic fish/seafood dishes.